As you drive through work zones slow down and be extra attentive. 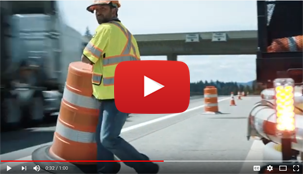 Drive Well Idaho | Check out these videos for driver interaction with different types of ITD work zones ranging from urban and rural construction, to ITD maintenance work. 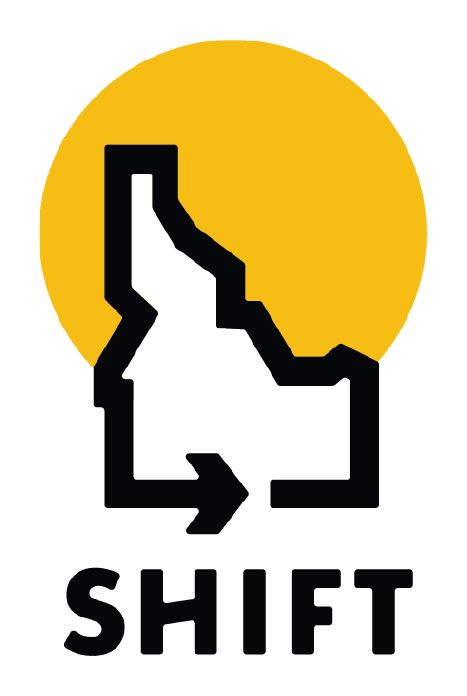 In Idaho, there were 15 work zone fatalities from 2013-2017, with 1,960 crashes in work zones during that same time period. Drivers are asked to put away distractions and pay extra attention to their surroundings. 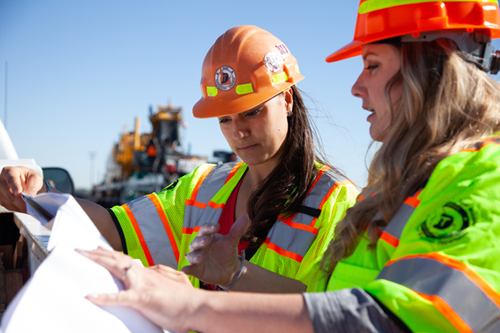 Safer driving means safer work zones for all. Slow down and drive at the posted speed limit or at speeds appropriate for conditions. Adhere to traffic signs and follow the directions of flaggers and pilot cars, when present. Prepare for heavy equipment operating in the area. Watch for altered traffic patterns or reduced lane widths. Devote your full attention to driving and avoid distractions such as cell-phone use. Check before leaving home to determine whether you might encounter highway construction. 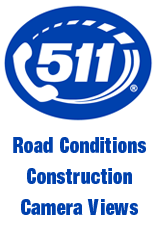 Call 5-1-1, check 511.idaho.gov or download the 511 app. Expect delays and exercise patience. Use the “Layers” tab to select specific features to appear on the 511 map. Travelers can access the Idaho road report online at 511.idaho.gov, download the free 511 mobile app, or call 5-1-1 for route information. 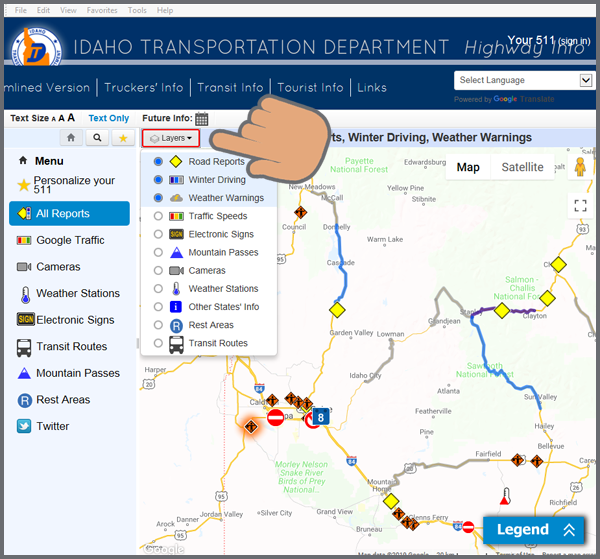 Idaho’s Highway Information System, or 511, features route conditions and weather, camera views, construction impacts, delays, closures and more. The mobile app can be customized by the user according to preferred route. Cameras and weather stations positioned all across the state help travelers make their driving plans. Recent improvements to the 511 Traveler Services platform allow drivers to more efficiently track driving conditions, and review a six-hour weather forecast on certain highway routes. In addition to road reports, cameras and weather data posts on 511.idaho.gov, here are the travel-related features. Just before the first snowfall and Thanksgiving travel in 2005, the online 511 traveler service was unveiled, bringing a new level of service and trip preparation to Idaho drivers. More than 31 million visits after that November day more than a decade ago, an enhanced 511 service thrives.